Prime Minister Binyamin Netanyahu on Sunday evening, 25 Tishrei, met in his official residence in Jerusalem, met with New York City Mayor Michael Bloomberg. Mayor Bloomberg gave Prime Minister Netanyahu a US flag that was flown in Washington in a call for Gilad Shalit’s release. 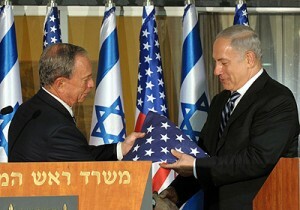 The flag was taken down last week; Mayor Bloomberg presented it to Prime Minister Netanyahu as a token of appreciation.